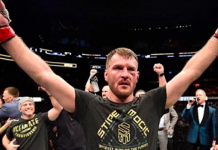 Many people across the states are celebrating Thanksgiving today and former UFC heavyweight champion Junior dos Santos wishes current UFC heavyweight champion Stipe Miocic happy holidays. 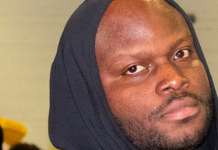 However, “Cigano” would love nothing more than to punch Miocic in the face again once he gets his fill of his Thanksgiving feast. Dos Santos took to twitter to wish Miocic a Happy Thanksgiving on Wednesday and politely called the champ out for another fight in the Octagon at the same time. 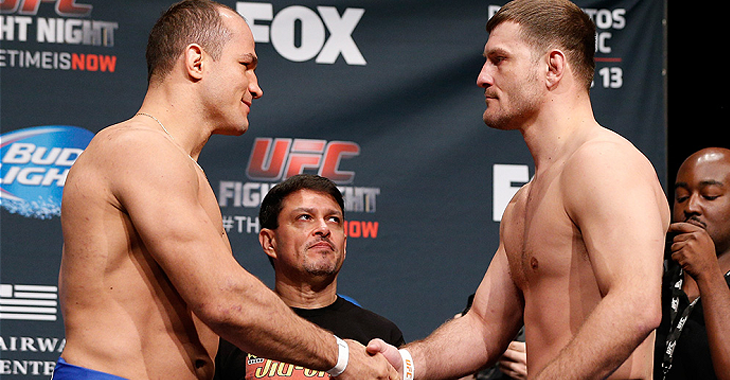 Junior dos Santos is coming off a win over Ben Rothwell at UFC Fight Night 86, which took place April. 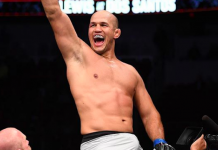 Dos Santos has been on a back and forth winning and losing pattern for his last seven fights, but does hold a unanimous decision win over Miocic. The two fought in the main event of UFC on FOX 13 back in December of 2014. 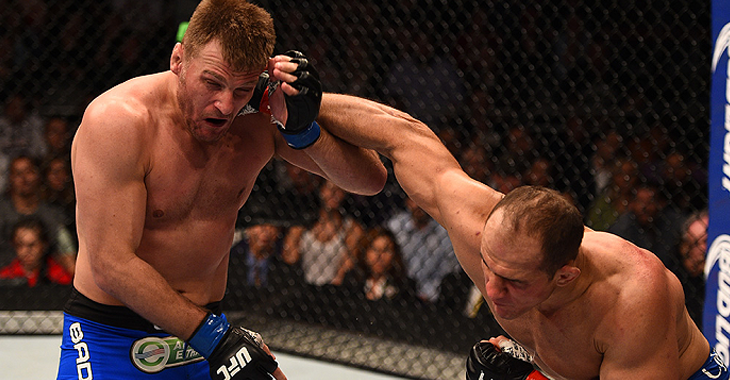 Stipe Miocic is coming off his first UFC heavyweight title defense over Alistair Overeem. The two fought in the main event of UFC 203 in Miocic’s hometown of Cleveland, Ohio in September. 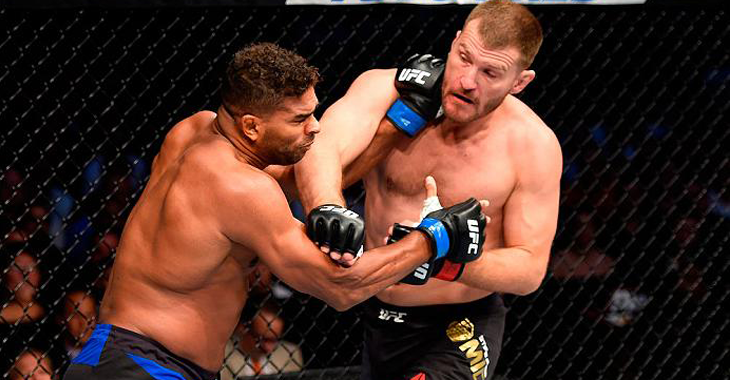 Prior to the exciting fight against Overeem, Miocic won the UFC heavyweight title by beating Fabricio Werdum, who went into the fight as the champion in Brazil at UFC 198 back in May. Miocic’s last loss was against Junior dos Santos and is riding a four-fight winning streak since the loss to the former champion. 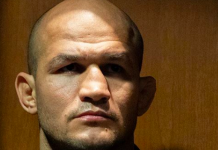 Newly updated UFC rankings have Junior dos Santos ranked #4 in the heavyweight division. Cain Velasquez and Alistair Overeem are currently ranked above dos Santos respectively at the #2 and #3 spots. 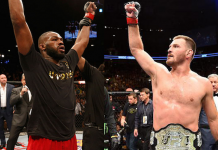 Who would you like to see Stipe Miocic make his next title defense against? Sound off in the comment section!